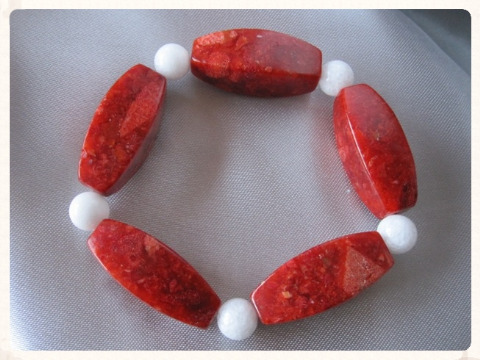 My range of handmade red beaded bracelets using various shades of red semi precious gemstones. 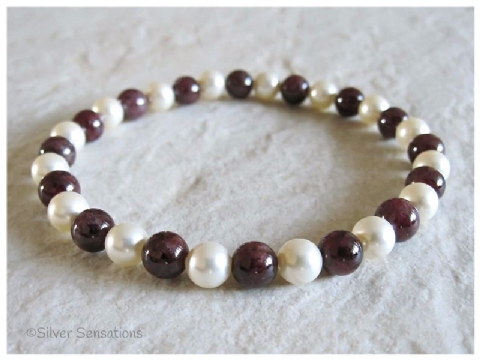 ​Please note that larger beads do wear shorter. 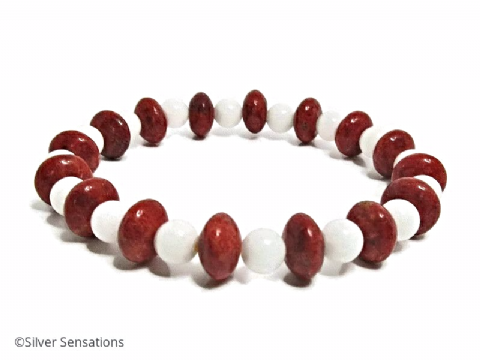 The stones I have used for these fashion bracelets are: Garnet, Burgundy Red Tiger's Eye, Red Jade, Reddish Brown Poppy Jasper, Red Sponge Coral, Dark Red Agate, Red Coral, Swarovski Pearls & Red Jasper.